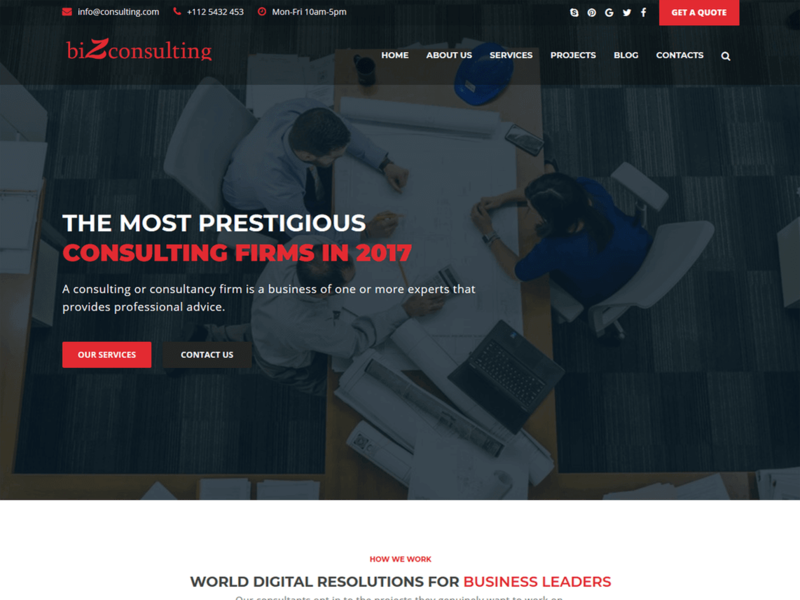 BiZconsulting is a clean and modern WordPress Theme. It can be used to set up any type of business website like consultancy, Advising, Solicitor, business, Consulting, Creative, Corporate, Finance, Insurance, etc. Inside the BiZconsulting theme, all pages optimized to perform in a simple and fast way after customization.